The Lean Six Sigma Green Belt Certification program in Mumbai is the second stage in the Lean Six Sigma Masters program. 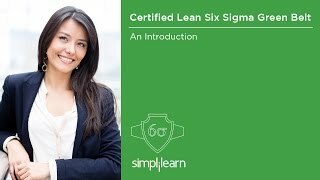 You’ll learn the core principles of Lean Six Sigma, how to implement quality projects and applications, and how to use the Minitab tool for effective statistical analysis. The course is aligned to IASSC exam, integrates lean and DMAIC methodologies using case studies and real-life examples, and will give you the skills to empower your organization for continuous improvement. What is the average salary for a Quality Manager/Operations Manager in Mumbai? The Operations Managers/Quality Manager in Mumbai can earn up to Rs 810,571 a year as per the analysis by PayScale. There can be an increase in the earning potential for individuals who are certified in the Lean Six Sigma Green Belt. What are other types of roles within the Quality Management space available in Mumbai? Which companies are hiring Quality Manager/Operations Managers in Mumbai? What are the prerequisites for Lean Six Sigma Green Belt Certification in Mumbai? Simplilearn’s Lean Six Sigma Green Belt certification training in Mumbai program is designed to help you prepare for and pass the exam. Very informative and educative with simple language and easy examples. Covers all the aspects, videos are of good help, and so is the content. Trainer helped us through complicated concepts in easy language. Certified Six Sigma Green Belt focuses on Six Sigma concepts and is aligned with the ASQ BOK. 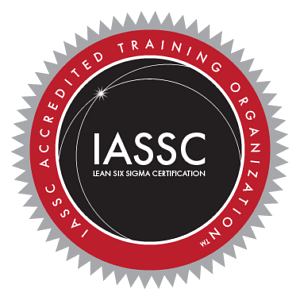 Lean Six Sigma Green Belt explores the Lean Six Sigma designs and is aligned with the IASSC BOK. Simplilearn offers the Lean Six Sigma Green Belt Certification training in Mumbai which consists of 40 hours of instructor-led sessions and 27 hours of e-learning content. The course is ideal for professionals preparing for the Six Sigma exam conducted by IASSC.